Starwind 19, 1986 - fully restored, *NOT* a Project. Perfect day sailor or weekender. We enjoyed her very much. 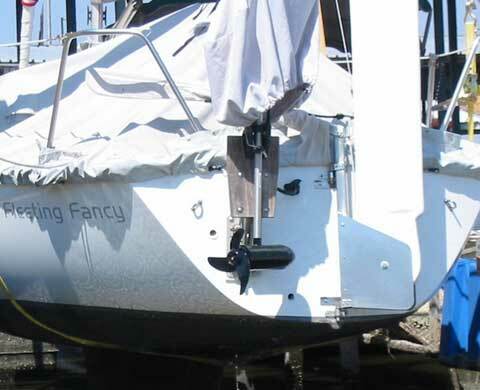 However, I acquired another larger boat and must sell Fleeting Fancy. Custom T/M cover new in 2011. Furling Genoa with UV protection on the new CDI furler. All new running rigging (Sta-set, Amsteel Blue). All blocks new: Ronstan, Harkin. New Ronstan genoa T-Track and blocks. New Spinlock PXR Cam Cleats. 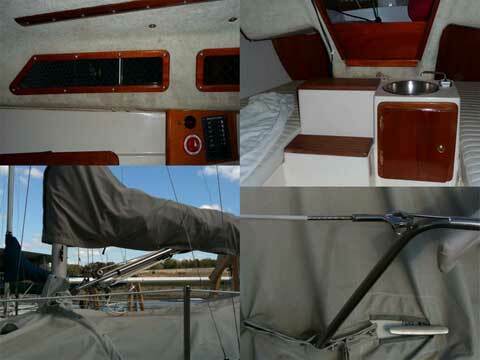 Main halyard run to the cockpit with Lewmar rope clutch. Custom airfoil rudder with flip-up feature for trailering. Most teak replaced and more added. Electric propulsion motor with two 100AH AGM batteries. Silent, clean, maintenance free. BlueSea Systems electrical breaker panel, voltmeter, battery selector. Humminbird thru hull side/down scanning transducer. Wired for 798 series. Humminbird GPS 798 CI SI Combo with Navionics Maps (South) available but *not* included in the asking price. Negotiable. 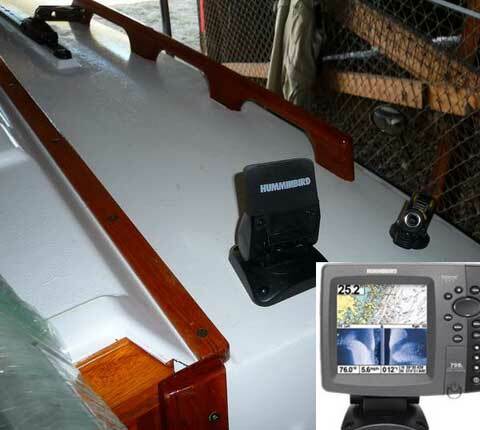 Deck light, masthead and anchor lights, navigation led lights. Interlux Perfection topsides and deck. New Antiskid on deck, cockpit floor. New 3/16 316 SS Lifelines with all new hardware (Johnson). Danforth style anchor (West Marine). 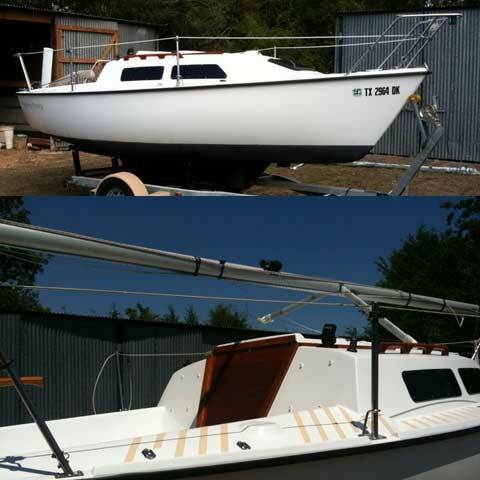 Custom Mast stepping system � one person operation! Custom lightweight aluminum mast support for transport. Currently in enclosed storage at Lake Somerville, TX. Trailer with tongue extender and LED lights. 110% Genoa 63 sq. ft. Location: Lake Somerville, TX (storage). My sailboat sold!! Thank you for maintaining fantastic site for all sailors!